Opis: M4 is a globular cluster visible in dark skies about one degree west of the bright star Antares in the constellation Scorpius. 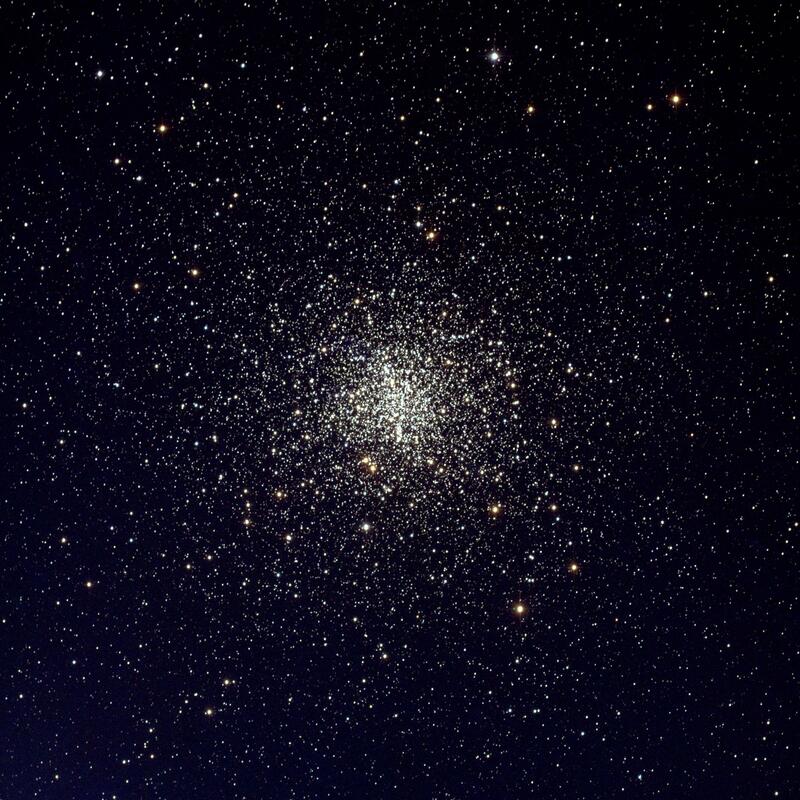 M4 is perhaps the closest globular cluster at 7000 light years, meaning that we see M4 only as it was 7000 years ago, near the dawn of recorded human history. Although containing hundreds of thousands of stars and spanning over 50 light-years, M4 is one of the smallest and sparsest globular clusters known. 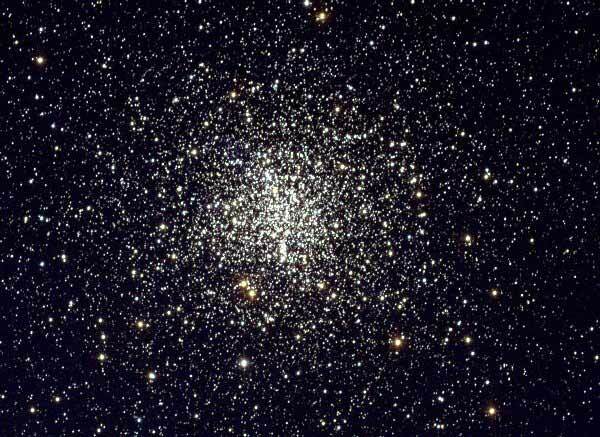 A particularly unusual aspect for a globular cluster is M4's central bar of stars. M4, pictured above, is one of the oldest objects for which astronomers can estimate age directly. Cluster white dwarfs appear to be at least nine billion years old - so ancient they limit the youth of our entire universe.